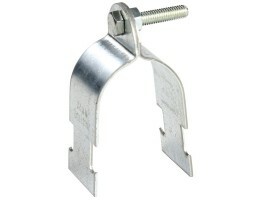 Unistrut Zinc Plated Pipe Clamps 21.4-25.4MM (M1116)Unistrut can support a vast range of pipe applications, from small bore heating pipes to large industrial water supply pipes. 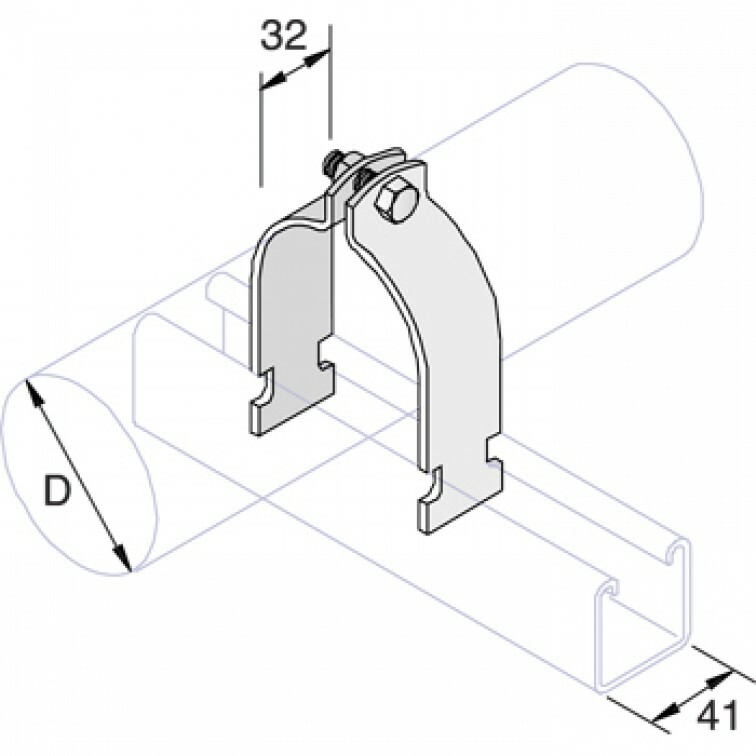 The WOPF brand is wid..
Unistrut Zinc Plated Pipe Clamps 10.3-12.7MM (M1109)Unistrut can support a vast range of pipe applications, from small bore heating pipes to large industrial water supply pipes. The WOPF brand is wide..
Unistrut Zinc Plated Pipe Clamps 100.0-106.4MM (M1135)Unistrut can support a vast range of pipe applications, from small bore heating pipes to large industrial water supply pipes. The WOPF brand is wi..
Unistrut Zinc Plated Pipe Clamps 106.4-111.1MM (M1136)Unistrut can support a vast range of pipe applications, from small bore heating pipes to large industrial water supply pipes. The WOPF brand is wi..
Unistrut Zinc Plated Pipe Clamps 11.9-13.5MM (M1110)Unistrut can support a vast range of pipe applications, from small bore heating pipes to large industrial water supply pipes. The WOPF brand is wide..
Unistrut Zinc Plated Pipe Clamps 111.1-120.7MM (M1137)Unistrut can support a vast range of pipe applications, from small bore heating pipes to large industrial water supply pipes. The WOPF brand is wi..
Unistrut Zinc Plated Pipe Clamps 120.7-129.4MM (M1138)Unistrut can support a vast range of pipe applications, from small bore heating pipes to large industrial water supply pipes. The WOPF brand is wi..
Unistrut Zinc Plated Pipe Clamps 129.4-138.1MM (M1139)Unistrut can support a vast range of pipe applications, from small bore heating pipes to large industrial water supply pipes. The WOPF brand is wi..
Unistrut Zinc Plated Pipe Clamps 13.5-14.3MM (M1111)Unistrut can support a vast range of pipe applications, from small bore heating pipes to large industrial water supply pipes. The WOPF brand is wide..
Unistrut Zinc Plated Pipe Clamps 138.1-149.2MM (M1140)Unistrut can support a vast range of pipe applications, from small bore heating pipes to large industrial water supply pipes. The WOPF brand is wi..
Unistrut Zinc Plated Pipe Clamps 14.3-16.7MM (M1112)Unistrut can support a vast range of pipe applications, from small bore heating pipes to large industrial water supply pipes. The WOPF brand is wide..
Unistrut Zinc Plated Pipe Clamps 149.2 - 161.9 MM (M1141)Unistrut can support a vast range of pipe applications, from small bore heating pipes to large industrial water supply pipes. The WOPF brand is..